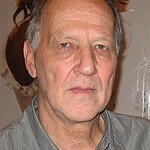 "Grizzly Man," from the world renowned director Werner Herzog. In his mesmerizing new film "Grizzly Man," acclaimed director Werner Herzog explores the life and death of amateur grizzly bear expert and wildlife preservationist Timothy Treadwell. Treadwell lived unarmed among the bears for thirteen summers, and filmed his adventures in the wild during his final five seasons. In October 2003, Treadwell's remains, along with those of his girlfriend, Amie Huguenard, were discovered near their campsite in Alaska's Katmai National Park and Reserve. They had been mauled and devoured by a grizzly, the first known victims of a bear attack in the park. (The bear suspected of the killings was later shot by park officials.) 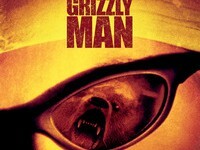 In "Grizzly Man," Herzog plumbs not only the mystery of wild nature, but also the mystery of human nature as he chronicles Treadwell's final years in the wilderness. Herzog uses Treadwell's own startling documentary footage to paint a nuanced portrait of a complex and compelling figure while exploring larger questions about the uneasy relationship between man and nature. 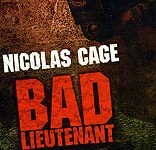 Exclusive: The Bad Lieutenant is NOT a Remake!